1. Ask for copy of a Sellers Disclosure. When Buying A Home In Augusta Georgia most real estate companies like RE/MAX True Advantage require the owner of the property being sold to fill out a Sellers Property Disclosure. This form is a general range of questions about any changes to the property during the sellers ownership that would be beneficial information to buying a home in Augusta Georgia such as repairs, insurance claims, or any changes to the property during the current owners possession. While this information is important when buying a home in Augusta Georgia it also removes some forms of liability against the owner since he is discloisng all he knows about the property. 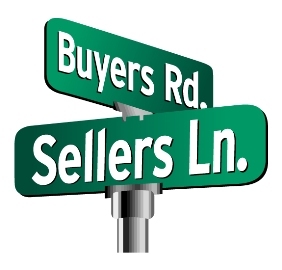 While a sellers disclosure is beneficial to have it does not replace a buyers buying a home in Augusta Georgia the need to have a home inspection done on the property by a licensed home inspector. 2. Compare closed sales of other homes in the area. How do you know when buying a home in Augusta Georgia that it is a fair price? Philip Jones will compare other sold homes in the same area or neighborhood that have similar features such as age, size and exterior frame (brick, stucco, vinyl). Use comparisons of sold properties within the last six months not active homes since closed sales are a true indicator of market value. 3. Verify the cost of property taxes. It's important to know the cost of the property taxes on the home you are intereted in when buying a home In Augusta Georgia since this has a direct effect on your mortgage payment. Philip Jones can also check the history of the property taxes thru your county tax accessor when you are buying a home in Augusta Georgia to see how much they have increased over previous years. While increased property taxes is not the greatest on your pocketbook it does usually mean the home itself is also increasing in value. 4. Order a termite letter on the home. Most bank lenders will require a current termite letter be done when you are buying a home in Augusta Georgia but even if not, especially in areas of the south, be sure the letter state there are no active termites within a 30 day period of purchasing the property. This is necessary even if the sellers have a current termite bond on the home and if then verify to see if the bond is transferable to new homeownership. 5. Obtain a copy of the property plat. When buying a home In Augusta Georgia all plats are recorded at your local county government tax office. Philip Jones recommends having a copy to avoid the possibility of encroachment from other properties such as fence lines, utility sheds, and driveways that could become a problem if you are not aware they exist. 6. Look up listing history of property thru Multiple Listing Service. If you are considering buying a home in Augusta Georgia that is listed thru the local Multiple Listing Servie with a licensed real estate broker, your selling agent will be able to check listing information that could provide you negotiation leverage in the offer on the house. Number of days the house has been listed, if the house was reduced in price during the listing period and by how much, and if more than one real estate company has listed the house within a short time frame. Knowing this information helps you determine how motivated the seller might be to sell or if there is concern why it has not sold before now. 7. Order a Home Inspection on the property. While you may have written an offer on buying a home in Augusta Georgia, make sure the contract has a contingency for a home inspection which allows for you to void the contract should you find defects in the property the seller is not willing to fix or that seem obsessive. With the average homeowner moving evrery 5 years it is important you hire a licensed home inpector to help you find any concerns the seller may or not be aware of. 8. Obtain a copy of neighborhood covenants. If you live in a neighborhood it most likely has in the past or currently has a set of neighborhood covenants; rules for the neighborhood as a whole to abide by which are enforced by the neighborhood association. If your neighborhood association is actively enforcing the covenants of the neighborhood you should make sure to obtain a copy. Not all neighborhoods have an active asociation and additionally some associations have mandatory fees and others do not. Find out the status of your particular neighborhood when buying a home in Augusta Georgia thru your realtor. 9. Verify property is not in flood plain and cost of homeowners insurance. Another cost that is associated with buying a home In Augusta Georgia is the cost of homeowners insurance which covers loss to your property i.e. fire, weather, busted pipes. Todays insurance rates tie in heavily with your credit rating, so verify the yearly cost since this will directly effect your montly house payment. Ask your insurance rep what discounts apply for home safety features such as smoke alarms, monitored security systems, and proximity to fire hydrants. 10. Check national and local websites for crime and sexual predators.